Can’t we get this sorted? 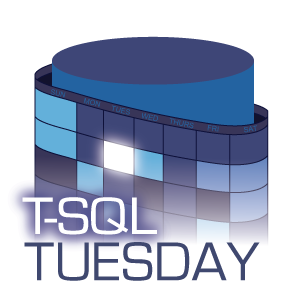 Andy Mallon hosts this month’s T-SQL Tuesday, asking us to reflect on Allan Hirt’s tweet lamenting that “we’re still dealing with the same problems” after 25 years in IT. I think technology has the paradoxical problem of moving both too fast and too slow. Almost all of us would rather create something new rather than maintain something old. We love our green fields. And we’re always pushing boundaries. But today’s experiments become tomorrow’s legacy code. Our proofs of concept become mission critical systems. And then they stagnate. All of the hacks and shortcuts we took become immortal. And that’s why Little Bobby Tables is still the #1 vulnerability on the web today. But that’s a big downer. It’s more fun to complain about our tools, so here goes. After years of using SQL Server Management Studio (and its predecessor Query Analyzer), I’m struck by how incapable the results grids still are. Unlike Excel, you can’t sort them, you can’t filter them, you can’t search within them, and you can’t easily change their font size. In any commercial software product, grid tools are table stakes. For some reason vendors still like to run through them, but they’re never a differentiator. That’s because you can just buy a grid component and use it in your application. Even the basic grid control which came with .NET 2.0 could sort. Allow Tear-Off of Results Grid. Creating insert into -clauses from the grid results. So take this opportunity to get involved, dream big, vote for your favorite features, and drag SSMS grids out of the stone ages. Or, you know, comb through your old codebase looking for security vulnerabilities like you really should. This entry was posted in SQL Server and tagged #tsql2sday on 2016/10/11 by Riley Major.